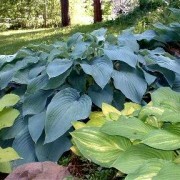 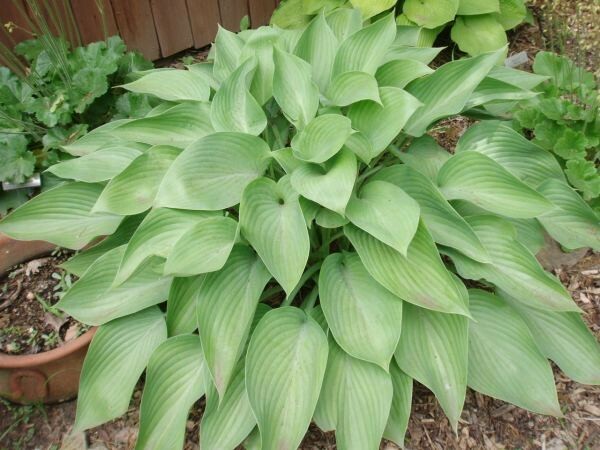 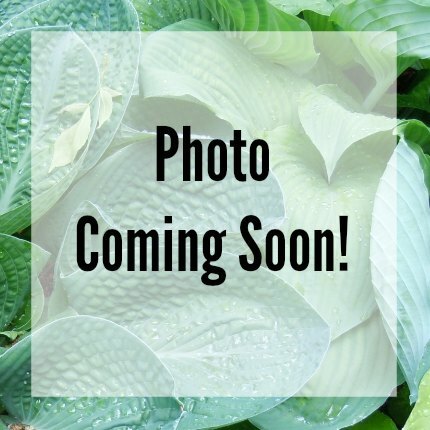 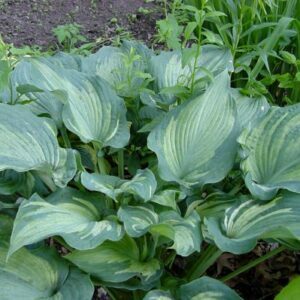 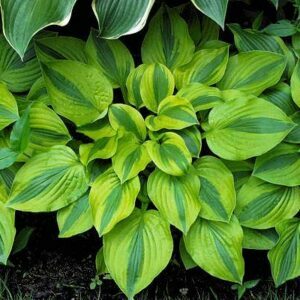 Gosen Sunproof Hosta – 25″ high by 85 ” wide with leaves 13 3/4″long by 8 1/2″ wide. 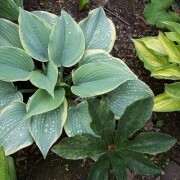 Leaves medium to light green. 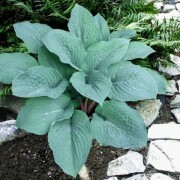 Large: 25″ high by 85 ” wide with leaves 13 3/4″long by 8 1/2″ wide. 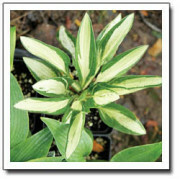 Leaves medium to light green.